Be on the lookout for Pasta Dinner signup sheets after Spring Break. We need lots of helpers to make this event a success. Going forward, it will be easy to find many school volunteer opportunities. Just go to http://henryfordpta.org/volunteer/ whenever you have availability. Our school relies on contributions from families like yours to pay for programs that enrich the learning experience for all Henry Ford Mustangs. For the 2016-17 academic year, a full student contribution is $150. While we prefer a full annual contribution, any amount is gratefully accepted. Families who donate the full contribution and/or sponsor a program can choose to receive a Henry Ford Mustang tee shirt (child) AND be featured on our website! Please welcome Jana Thayer to the PTA Comms team! She’s volunteered to take on the newsletter through 2018. And give a HUGE THANK YOU to Judie Guttierez for originally launching and managing this operation for the last 7 years; she’s our hero. We have an exciting new fundraiser. Ring would like to keep our neighborhood safe and support our neighborhood school! Ring video doorbells and perimeter cameras are highly recommended by the Redwood City Police Department. 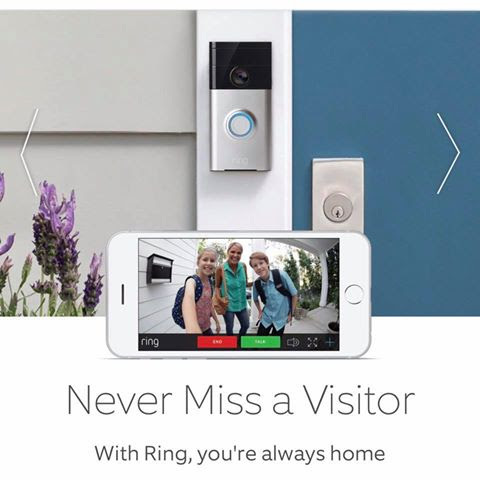 Through May, Ring is offering $25 off a device to friends & family of Henry Ford Elementary. For every one of your purchases, they will also give $25 to our PTA. Just enter promo code 6503682981 at checkout. Be sure to subscribe to our PTA newsletter so you can stay up-to-date on school activities! Your engagement helps your student succeed.